Cisco Junior High firmly believes that data driven instruction is a core component of blended learning. 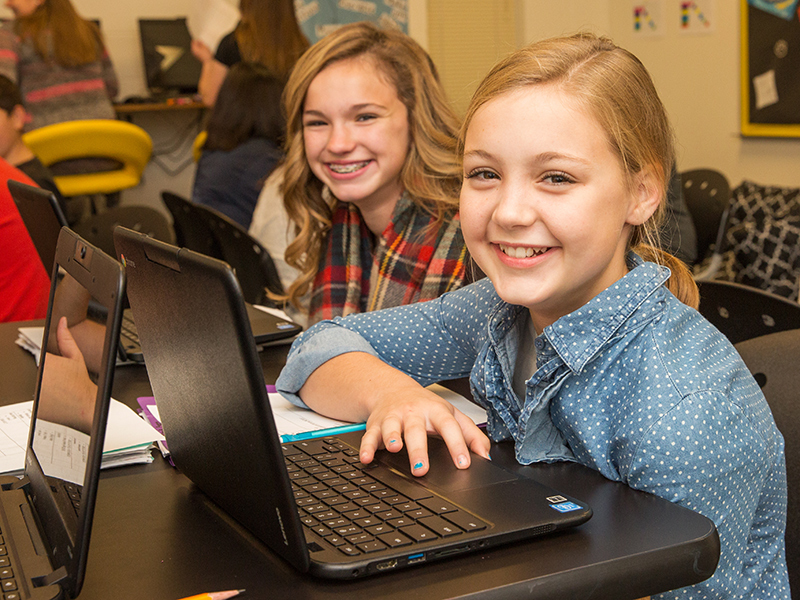 Cisco’s blended model relies on data to help teachers differentiate instruction, support self-directed learning, and build student choice and agency in the classroom. Teachers at Cisco utilize a collection of common data practices which result in these strong instructional approaches. Ongoing Assessment Analysis and Action - Teachers continually look at data, often daily. Common sources of data include MAP tests, pretests, posttests, quizzes, and data generated by online content. A teacher may look at MAP data before the start of a unit, for example, to identify trends and plan for modifications. Formative data, such as pretests and posttests, help teachers identify similar groups of students that need support, often meeting this need through small group instruction. Teachers also frequently review data from online content, which can help ensure that students are continuing to work at the right challenge level (neither too easy nor too hard). Informal Data - Informal data is valuable but often overlooked in blended instruction. At Cisco, teachers are continually interacting with students throughout class, observing them, asking questions, and working through learning activities with them. These interactions inform the teacher as to how well students are handling their content. For example, a teacher may notice a group of students struggling with guided practice and either do a reteach if the entire class missed it, or change the composition of small groups to provide support to those who need it. Student Reflection on Learning Data - Students have frequent access to their learning data and are empowered to use it. Students may use MAP data, playlist data, and test or quiz data to determine their progress through the content they are expected to learn. Students also use this data to help them set goals throughout the school year.